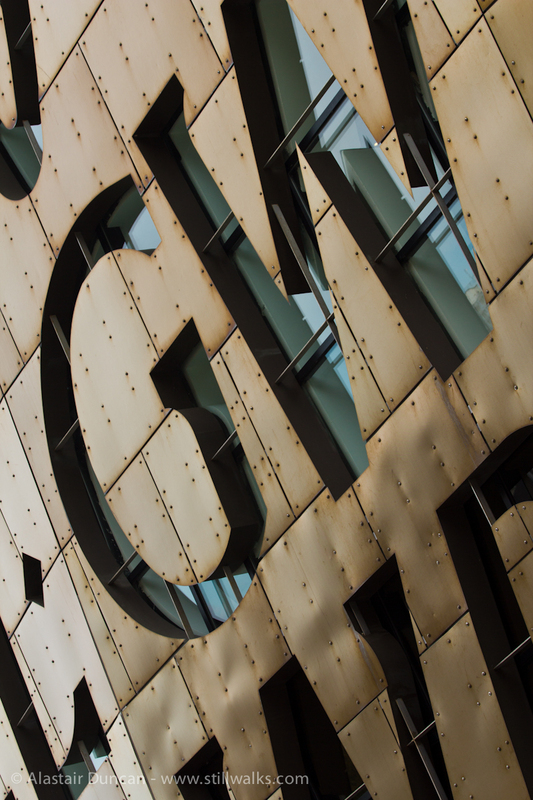 This post title is the “inscription” which is a part of the architecture of the Wales Millennium Centre in Cardiff Bay. The English is not a direct translation of the Welsh and were written by Gwyneth Lewis. Yesterday’s monochrome images can also bee seen on Leanne Cole’s Photography blog along with lots more “Monochrome Madness”. 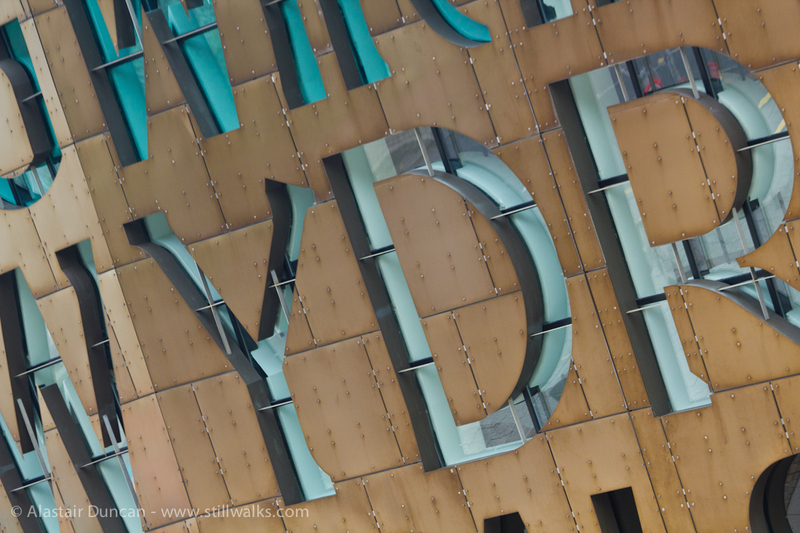 Posted in Architecture, art, Photography, Travel and tagged architecture, art, bronze, Cardiff, English, glass, Gwyneth Lewis, inscription, metal, Millennium Centre, photography, poetry, wales, Welsh, words. ← Cold Steel or Molten Metal?